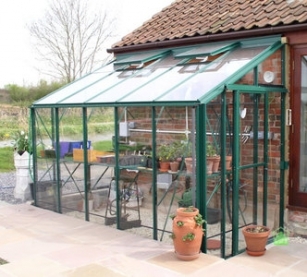 When space is limited, or you would like your greenhouse to be close to your house, a lean-to can be the answer. 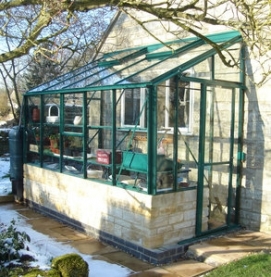 At 5’4” deep and using all of the same R-box box section technology glazing bars as the rest of the Robinsons range, this lean-to allows you to reap the benefits of your wall, which will act as a ‘heat sink’. 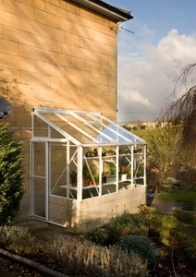 The warmth from the sun is stored during the day and released slowly at night, which helps over-heating in the daytime. 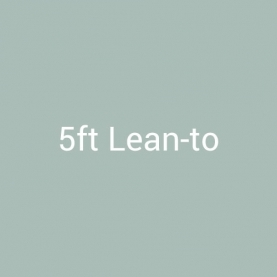 With a ridge height of 8’5” and an eaves height of 5’6”, this lean-to gives you plenty of working height. 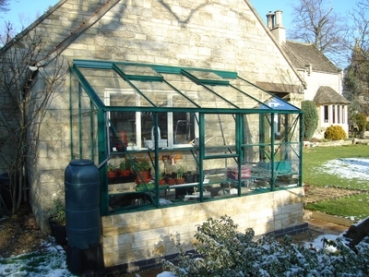 The sliding door can be fitted at either end of the lean-to, or an additional door can be added giving you excellent access from your home and garden. 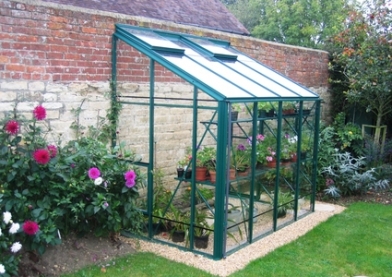 Sit your greenhouse on a standard height dwarf wall, roughly 2ft high.